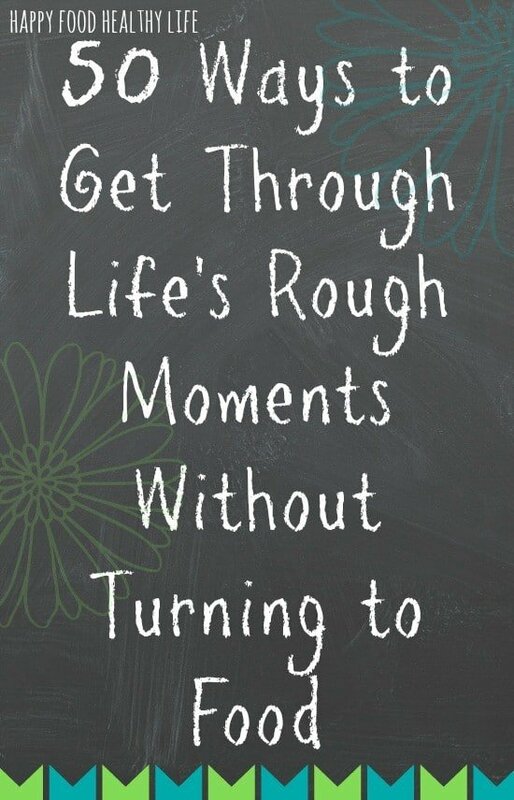 Life tends to hand us situations we don’t always know how to handle. For the longest time, I turned to food restriction in order to cope with stress, emotions, and other things I didn’t know how to handle. I am very proud to say that I have overcome those unhealthy habits in exchange for a happier and healthier life. But it wasn’t without my super awesome toolkit that I was able to get through and make it to where I am today. Time and time again, I make mention of a “toolkit” that I like to keep on hand to get me out of bad situations. But what is this toolkit, and exactly what situations am I talking about? Let’s get one thing out of the way: No, I’m not walking around with a tool belt on everywhere I go, even though that would be very lesbian of me. But I do walk around with a list. A list of tools that help get me through the some difficult moments in life. • When I’m having a “beat myself up” day and feel ugly/unattractive/not worth it, and just want to feed those feelings with food. Please tell me, I’m not the only person who goes through things like this! And I’m sure there are many other moments that I didn’t list. The great thing is that I’ve learned to not turn to food when I’m going through some of these issues. I’ve come up with a list of things I like to keep on hand for when I run into an issue where all I want to do is feed my feelings with unhealthy eating habits. I made a quick little video for you so I can explain the types of things I keep in my “tool kit.” It’s my true survival kit, and I’m not sure what I would do without it. 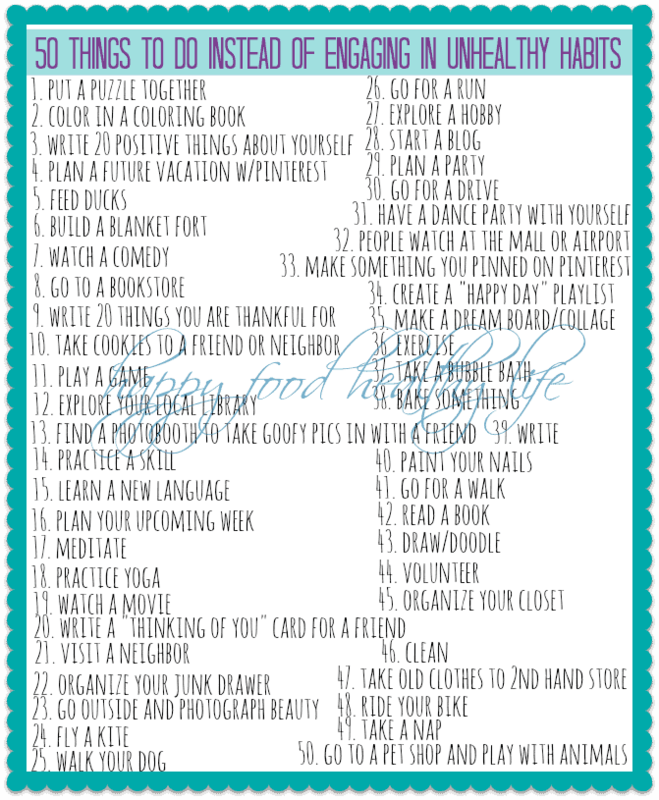 Like I mentioned in the video, I promised you this awesome printable of 50 things you can do when you’re battling with yourself. 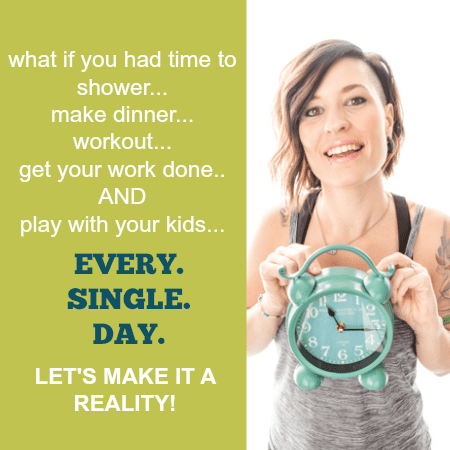 When one side is telling you to turn to unhealthy habits, you will slap it in the face with this super handy list of things you will do instead. Please print this out and keep it with you so you will always have a way to get out of the unhealthy thoughts in your head. Direct your attention to these simple tasks rather than fighting with your mind over food and food-related behaviors. What is one thing you can add to your Toolkit?? Love this post! I shared it on my blog today. I really love your ideas on your awesome list. I’m adding to mine “crochet something for grand babies”. When I’m down on myself, all I need to do is be with my 2 1/2 yo grandson and 1 1/2 month old granddaughter and they cheer me up and definitely keep me busy. Thank you so much for all you’re doing to help me cope. You’re an AMAZING person, Holly! I am so happy to hear that I was able to help you come up with some ideas to combat the urges to turn to food. Your grandkiddos are lucky to have a grandma who cares so much about her health and well-being. You got this Joyce! I believe in you!